Leonardo exhibitions have almost always focused on some specific area of his activity: art, anatomy, technology, studies on water, on flight, and so on. The mind of Leonardo explores the genius' very mode of thinking and his unitary conception of knowledge as the effort to assimilate, through bold theoretical syntheses and inventive experiments, the laws that govern all of the wondrous operations of man and nature. The exhibition displays exceptional documents and original works: drawings, paintings and manuscripts by Leonardo, accompanied by innovative educational tools: high-definition reproductions and films, functioning models, digital stations, virtual displays of some of Leonardo's lost works, films illustrating for the first time sensational discoveries made in his drawings and paintings (especially relating to the Adoration of the Magi) and more. 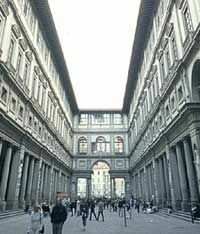 On request, The Traveller can arrange short breaks to Florence and Milan to view their contribution to Universal Leonardo.